During the night when your newborn is sleeping the caregiver may rest lightly in your baby/babies room. Your caregiver is always by your newborn’s side and will respond to their needs right away. Overnight awake care means your caregiver is awake throughout the night to ensure your newborn has more supervision. 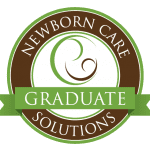 We recommend awake care for newborns that have medical conditions due to premature labor, for multiples, and for babies who are just having trouble sleeping through the night.